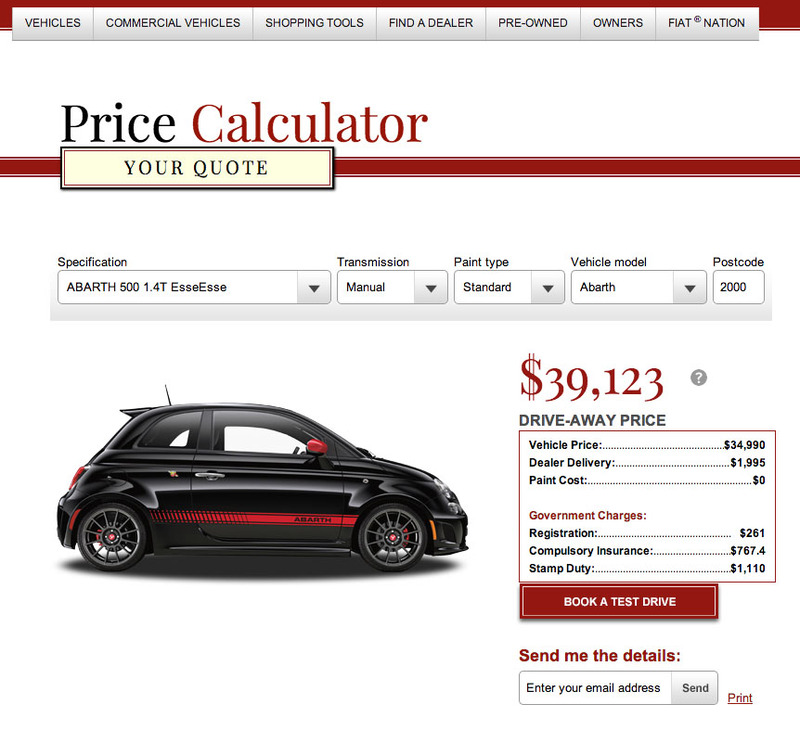 Dealer Delivery Rip-off — Auto Expert by John Cadogan - save thousands on your next new car! Everything about buying a car is negotiable – except the statutory charges like registration and stamp duty. One of the most amazing rip-offs in the entire process is a thing called dealer delivery charge. This is purportedly the cost of getting the car ready for you – getting it off the truck, cleaning it up, checking the major fluids (oil, coolant, etc. ), cleaning it up, checking the tyre pressures, registering it … and waving goodbye as you drive of into the sunset. Even the name is a lie: there is no dealer ‘delivery’ – you’re coming in to collect it; they’re certainly not delivering it. But they are preparing it – so exactly what preparation is involved, and how much would you be prepared to pay for that? Let’s be generous: 30 minutes of a mechanic’s time is – maybe – a $50 expense. Pulling off any protective plastic and washing the car? Maybe another $50. A full tank of fuel? Let’s call that $75. Having someone run up to the motor registry with a stack of registration forms, of which yours is one? I think $30 would be fair. Bolting on the number plates? Call it $20 … if you take your time about it. That’s a grand total of … $225. Now let’s be totally fair: let’s impose a 100 per cent profit margin over the top of that. Total for a fair and reasonable dealer delivery fee: $450. Dealer delivery charges on ordinary cars are in the $1500-$2000 price point – and that means $1250-$1750 of that is pure profit. It’s a comprehensive, inbuilt, strategic rip-off. Produce a written quote from another dealership – see below. Arrive at a price. See how to negotiate with a car dealer here. Ask for a breakdown on the price – in writing. You’ll see the retail price of the vehicle, plus options and accessories, plus stamp duty, plus registration fee, plus CTP insurance (if it’s not included in the rego in your state), plus dealer delivery. Zero in on the dealer delivery charge. Ask them what it’s for – then hit them with what you know (above). Do it politely. Break it down for them. Tell them – again, politely – that you think $450 is fair and reasonable, and in any case you’re not prepared to pay more than this amount for the so-called ‘delivery’. Make it clear that the success or failure of the deal rides on this condition. This is very basic stuff. Car industry 101. Don’t get ripped off by the dealer delivery charge. Once you’ve decided on the car you want, one strategy is to map out the three closest dealers to you. Go to the furthest one first, and come away with a written quote. Then use that written quote at the next-closest one to see if they can better the deal. Then repeat the process at the closest dealership to you (the dealer will check your address and figure that the probability you’ll also get your car serviced at the dealership, and make incremental profit this way, is high – it’ll be a factor in the decision of what price to offer. More on negotiating with a car dealer. Alternatively, just get a professional car buyer on your side – they work for you and use inside knowledge and bulk buying power to achieve fleet discount pricing – or better – for you. To find out how, fill in my contact form. I’ll get back to you within 24 hours. More on car dealership tricks and traps.